provides you with a theoretical background on principles and approaches in EU legislation, in the partner countries and in youth work practice. contains case studies from all partner countries detailing the approaches and processes adopted for an inclusive, diverse and equality-based youth work practice. contains a variety of practical tools for youth work. The RIDE project is a two year Erasmus+ project, co-funded by the European Commission. RIDE stands for “Resources for Inclusion, Diversity and Equality”: the project will in fact collect and develop a comprehensive Toolbox with a set of fresh, innovative resources and practical tools supporting inclusive, diverse and equality-based youth work practice. The EU has developed a clear mandate to encourage social inclusion (e.g. in the EU Youth strategy and the Erasmus+ Inclusion and Diversity Strategy). Equality of opportunity, inclusion and diversity are also seen as key principles for youth workers in the partner countries (as, for example, in the UK’s National Occupational Standards for Youth that promote inclusion and value diversity). Educators, trainers and practitioners need to continue exploring effective ways to develop and enhance their knowledge, skills and experience in order to meet the challenges that such a drive for inclusion, diversity and equality involves. 4) A university education module to be used with youth practitioners and training course that can be used by training providers. The University of Gloucestershire (UOG) is a diverse, vibrant community of 9,000 undergraduate students, 1,000 postgraduate students, 40,000 alumni and 1,000 staff from all across the world. Their youth work courses have been validated by the National Youth Agency (NYA) and so they confer JNC professional graduate youth work status upon successful completion. CESIE is a European Centre for Studies and Initiatives based in Palermo, Sicily. It is a non-profit, apolitical, and secular non-governmental organisation with member organisations in more than eight European countries. It was established in 2001, inspired by the work and theories of the pacifist Danilo Dolci (1924-1997). 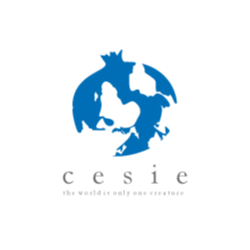 CESIE has implemented a great number of projects in the fields of education, training and youth, many of which have a specific focus on inclusion, diversity and equality issues. Historical Trnava University (TU) represents one of the oldest universities in Slovakia. 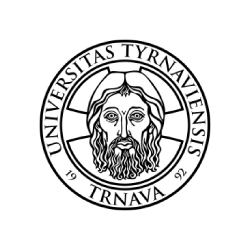 Trnava University was established by Cardinal Peter Pázmaň in 1635 and consisted of four faculties of: theology, arts, law and medicine. The Faculty of Education is one of the most important and respected faculties of education in Slovakia and in the Middle European region. Inclusion has been a main research topic at the Department of Educational Studies since 2008. Akdeniz University is a state university in Antalya (Governmental organisation). The goal of Akdeniz University is to become a world-class University capable of fulfilling all the demands of an effective internationalisation strategy. Akdeniz University is highly experienced in youth work activities. The institution conducts a large number projects, such as KA1 and KA2 under the Erasmus+ Programme. In particular, the Faculty of Education has many strategic partners for youth projects. 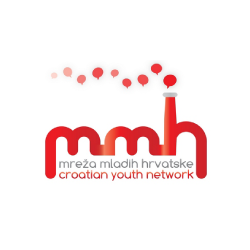 Croatian youth Network (MMH) is the national youth council of Croatia. It is the biggest umbrella of youth and for-youth organizations and it has more than 70 members. MMH is a heterogeneous platform connecting different organizations which share a joint interest in developing youth policies on national and European level. It was founded in 2002. MMH has extensive experience in the areas of inclusion and youth work: the organisation has implemented a number of advocacy-based projects which focused on the inclusion of young people with fewer opportunities, such as NEETs, Roma, young people in alternative care, young people attending three-year vocational schools, ethnic minorities.